I can’t believe I haven’t listed Coas Books here yet. I found three of the Doubleday/Ballantine “Classics of Science Fiction” books here, as well as the elusive Volume IIB of The Science Fiction Hall of Fame. 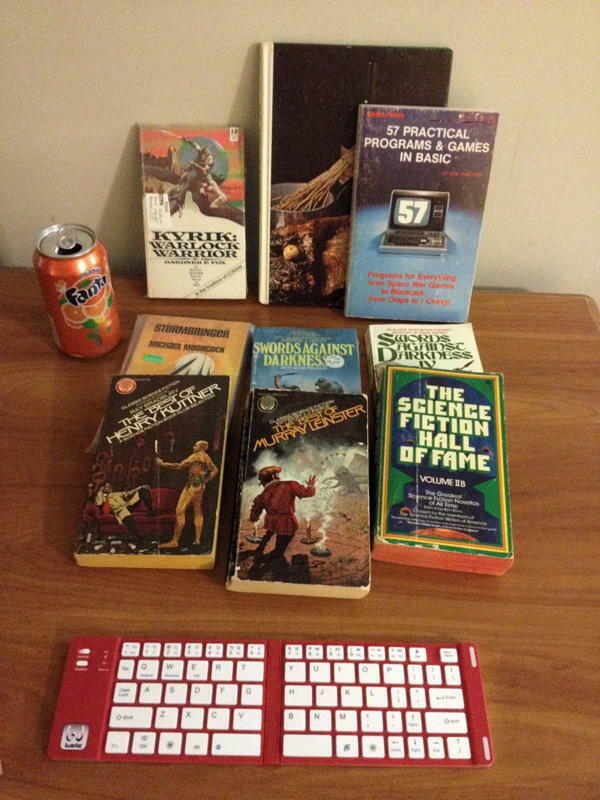 They’ve also had some nice retro BASIC books, which have been useful now that I’ve been trying to do things with a TRS-80 Model 100. Las Cruces is almost exactly halfway between Round Rock, Texas and San Diego, California. One of my examples of “Texas is big” is that when I drive to and from San Diego, it’s a two-day trip. One day of the trip goes completely across New Mexico, Arizona, and California all the way to the coast. The other day goes through half of Texas. Because I make it a two-day trip, Las Cruces is the natural place to stop, and for that reason I looked for used bookstores in the area. The best, by far, is Coas, both locations. Unfortunately, because it’s at the end of a nine-hour day, whichever direction I’m coming from, I don’t go as often as I’d like. In fact, the April 24 spree you see in the list below was because I decided to spend a day in Las Cruces, and that day was spent mostly browsing books, reading books, and eating Mexican food. Because I had a day to spare I was able to hit both locations. And it made a nice break between two full days of driving. They have a huge and wonderful selection of fantasy and science fiction, including a lot of older titles. The Solano location is smaller, so if you only have time for one, it should be the main location on Main Street. But as you can see I found some nice things in the smaller location, too. Members of my writing group have been recommending Richard Ford for a long time, and they were right; I already knew that Michael Chabon was worth reading but wasn’t aware of his semi-memoirish Maps and Legends until I saw it there. If you’ve got a long day ahead of you on Highway 10 and you need an excuse to stop in Las Cruces to walk around a while, Coas makes a great break. Next to the Solano location is a Mexican restaurant called El Patron. I recommend that, too. This was a great day for science fiction. Also, the (now defunct, unfortunately) motel served free Fanta. 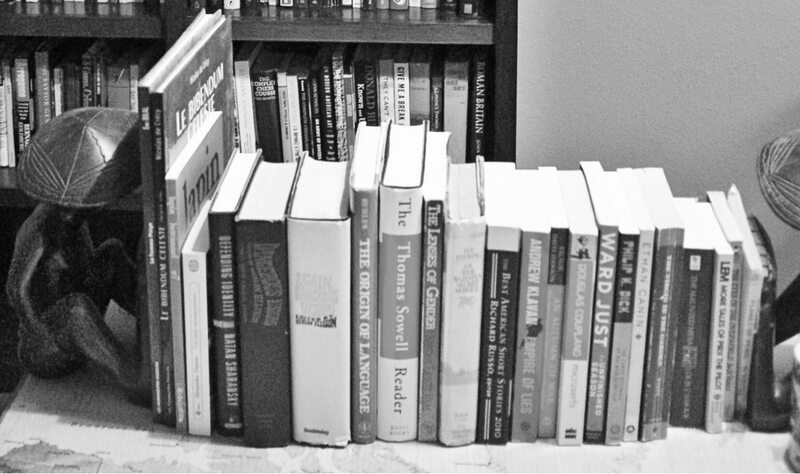 There are two Coas bookstores in Las Cruces, and both are well worth-visiting. Subtitled “The Greatest Science Fiction Stories of All Time”, it comes close if it doesn’t make it. This is the best science fiction collection I own. 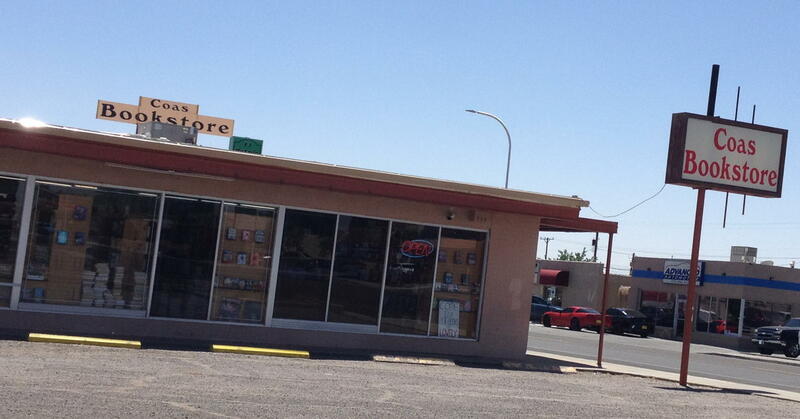 Las Cruces, New Mexico: Coas Books last modified May 8th, 2018.